London Calling: Happy New Year! 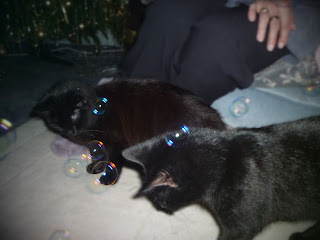 Saw the New Year in last night with the better-half, nearly-mother-in-law and the cats. 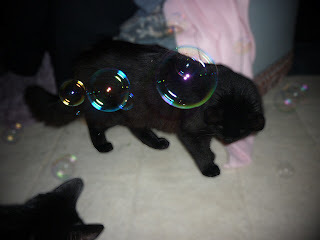 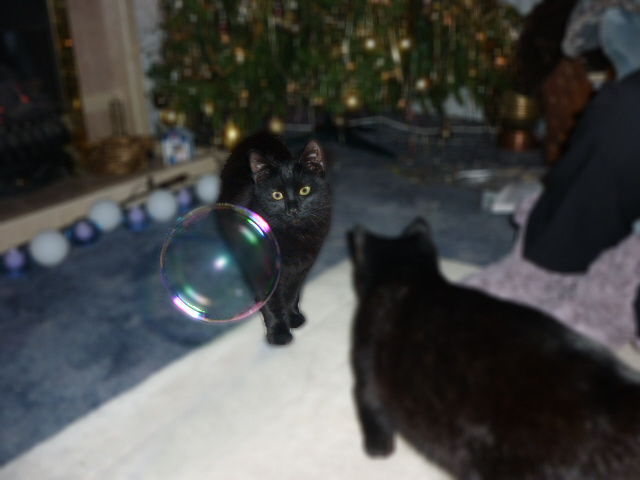 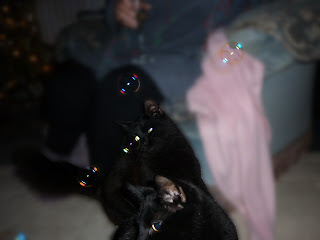 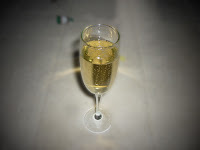 There were party poppers (of course) and bubbles (which amused people and cats alike) and of course champagne! So here's to 2011 - personally hoping for an improvement over 2010 which is mostly best forgotten... other than the arrival of Casper and Tinker into our lives.